Pumpkin, Witch, Skull Shaped Lollipops starting at 50% Profit! You Make $160.00 Profit / Case with No Shipping Charges! 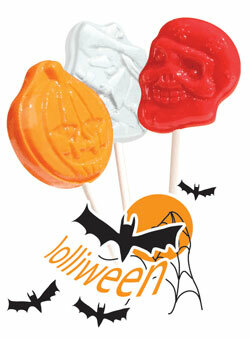 Lolliween lollipops are Allergen free. Sugar, Corn Syrup, Natural and Artificial Flavors, Citric Acid, Malic Acid, Artificial Color (Titanium Dioxide). Colorants also dependent on the flavor, it may contain any or all: Red 40, Yellow 6, Blue 1.